North Korea's top diplomat is saying that "under no circumstances" will it put its nuclear weapons or ballistic missiles on the negotiating table, after Secretary of State Rex Tillerson said that the U.S. was open to talks if the North completely halts its nuclear program and stops conducting intercontinental ballistic missiles (ICBM) tests. North Korean Foreign Minister Ri Yong Ho also stated at a meeting of the Association of Southeast Asian Nations that his country has no intention of using nuclear weapons against any country "except the U.S." He says the only way that would change is if another country joined in an American action against North Korea. Ri had been scheduled to hold a news conference in Manila, Philippines, where Asian diplomats are attending the ministerial meetings. Instead, Ri's spokesman handed reporters a copy of a speech that Ri had given at the meeting. Over the weekend, the U.N. Security Council unanimously approved new sanctions to punish the North including a ban on coal and other exports worth over $1 billion. U.S. Ambassador Nikki Haley called the U.S.-drafted resolution "the single largest economic sanctions package ever leveled against" North Korea. A statement from the North Korean government on Monday said that the U.N. sanctions resolution "is an outcome of diabolical attempts of the U.S. to isolate and stifle" the North, and it called the resolution an infringement on the regime's sovereignty. 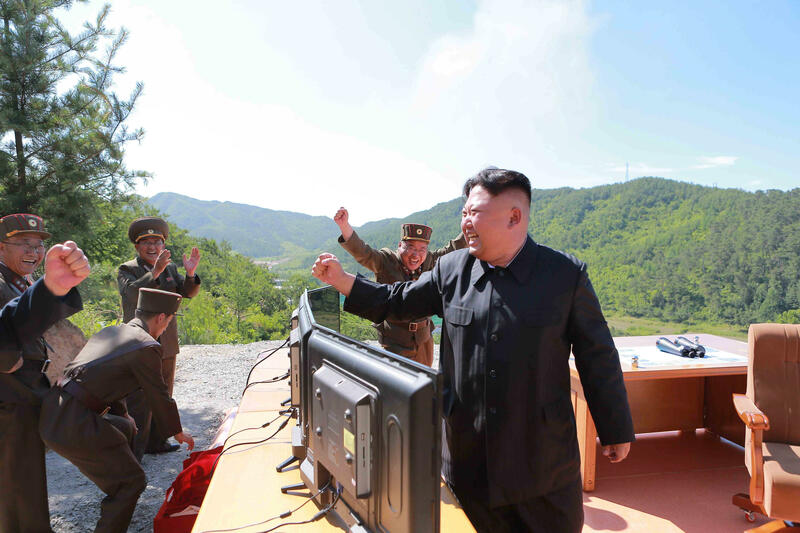 The regime claimed its pursuit of nuclear force is a self-defense measure against "the high-handed and arbitrary acts of the U.S.," which it accused of pursuing policies of "extreme hostility" and which poses a nuclear threat against North Korea. North Korea also mocked the U.S. for being "so frightened" by the ICBM tests and said the North's neighbors and the U.S. are "making such a scene baying at each other" over the missile launches. It went on to say that it's "only a forlorn hope" that North Korea would change its stance because of the sanctions. In the statement, North Korea also threatened to "make the U.S. pay dearly for all the heinous crime [SIC] it commits against the state and people of this country." Lim Eul Chul, a North Korea expert at South Korea's Kyungnam University, said the comments by the North demonstrate how angry it is over the U.N. sanctions, but the country is not likely to launch a pre-emptive strike against the United States. He said the North could still carry out further missile tests or a sixth atomic bomb test in the coming months under its broader weapons development timetable. CBS News' Pam Falk contributed to this report.